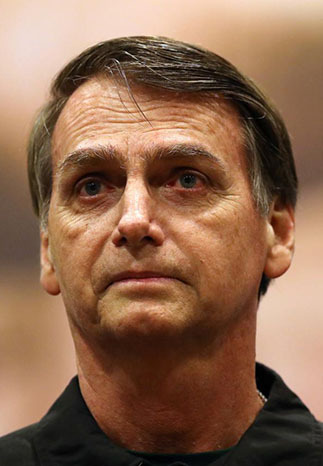 RIO DE JANEIRO/BRASILIA, (Reuters) – New Brazilian President Jair Bolsonaro issued an executive order yesterday making the Agriculture Ministry responsible for deciding on lands claimed by indigenous peoples, in a victory for agribusiness that will likely enrage environmentalists. The move stoked concern among environmentalists and rights groups that the far-right president, who took office on Tuesday, will open up the vast Amazon rainforest and other ecologically sensitive areas of Brazil to greater commercial exploitation. The executive order also moves the Brazilian Forestry Service, which promotes the sustainable use of forests and is currently linked to the Environment Ministry, under Agriculture Ministry control. Bolsonaro, who enjoys strong support from Brazil’s powerful agribusiness sector, said during his campaign he was considering such a move, arguing that protected lands should be opened to commercial activities. Brazil’s 900,000 indigenous people make up less than 1 percent of the population, but live on lands that stretch for 106.7 million hectares (264 million acres), or 12.5 pct of the national territory. After she was sworn in yesterday, new Agriculture Minister Tereza Cristina Dias defended the farm sector from accusations it has grown at the expense of the environment, adding that the strength of Brazil’s farmers had generated “unfounded accusations” from unnamed international groups. Bartolomeu Braz, the president of the national chapter of Aprosoja, a major grain growers association, cheered yesterday’s move to transfer indigenous land demarcation to the Agriculture Ministry. Will we have to be forced from our homes if this neo-liberal coalition is forced to make some land for the American whites? I see tall buildings, but no jobs for us.